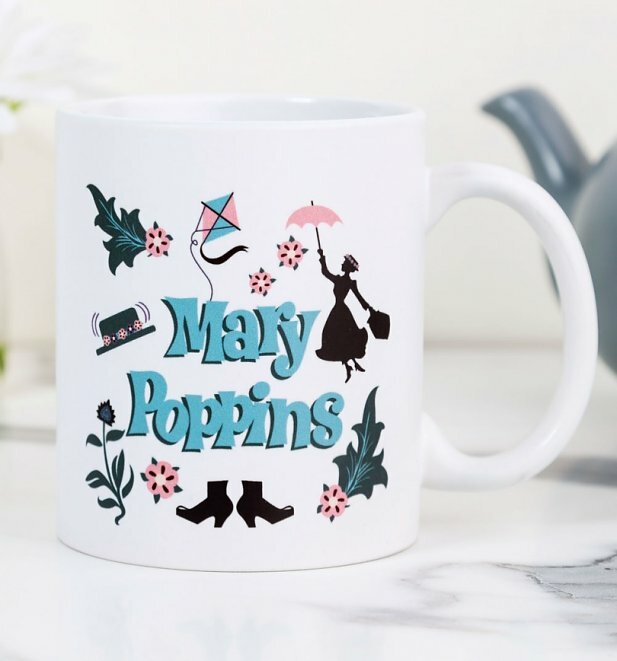 If you are practically perfect in every way, you will realise that you need this mug. A stunning tribute to the cult Disney movie. 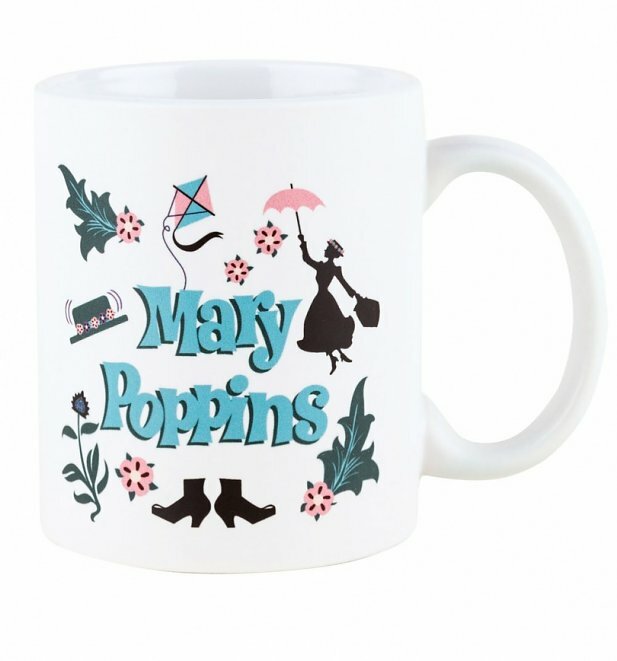 Review: I actually received this mug as a gift from new found friends and it is a really beautiful mug. Unlike some mugs which can be heavy or too big this mug is the perfect size. The pottery it is made from is also very nice, it is not shiny like some mugs are but has a really nice feel to it. 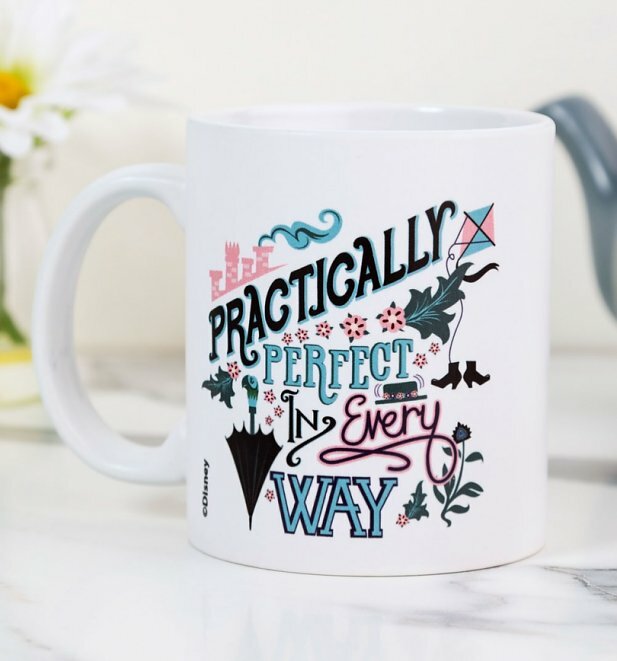 Mary Poppins complete with her umbrella and quotation about practically perfect in every way is also done so delicately it is truly, truly scrumptious and perfect in every way. Definitely supercalifragilusdexpialidocious! It really is a lovely mug and washes fine as well. Will treasure it because it was a wonderful surprise present but also is a really nice mug and nice to drink out of. Beautifully made and highly recommend. Review: Lovely present for my mum!